Eye-catching! 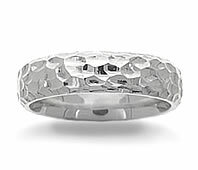 This 14k white gold wedding band is uniquely crafted with a highly polished hammered design. 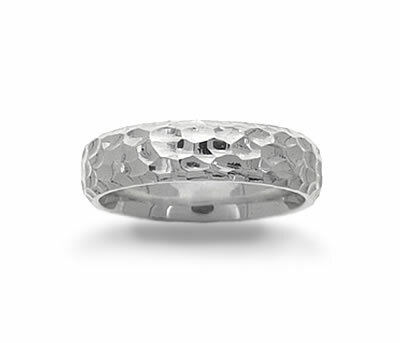 The inner edges are rounded to provide a comfortable fit for many years to come!